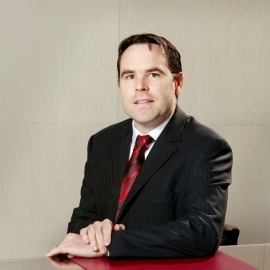 Colm is a Chartered Engineer and has led major commercial and healthcare projects in the public and private sectors, including the award winning Cork University Maternity Hospital and the new LIDL Headquarters in Dublin. Colm also has wider experience in Educational and Retail Projects, including a number of third level projects at Maynooth University and NUI Galway. Colm also has experience in the delivery of prestigious PPP projects, including managing the €140m Criminal Courts of Justice project for JVT on behalf of the PPP Co. and acting as Technical Advisor to the NDFA on the €200m DIT Grangegorman Central & East Quad projects in Dublin. Colm's experience includes proven leadership skills in managing, developing and motivating teams to achieve their objectives, combined with excellent design skills and the ability to deliver effective creative solutions with an in-depth knowledge of Building Services Engineering. Colm is responsible for the development of our technical standards and tools to ensure projects are delivered as seamlessly as possible.